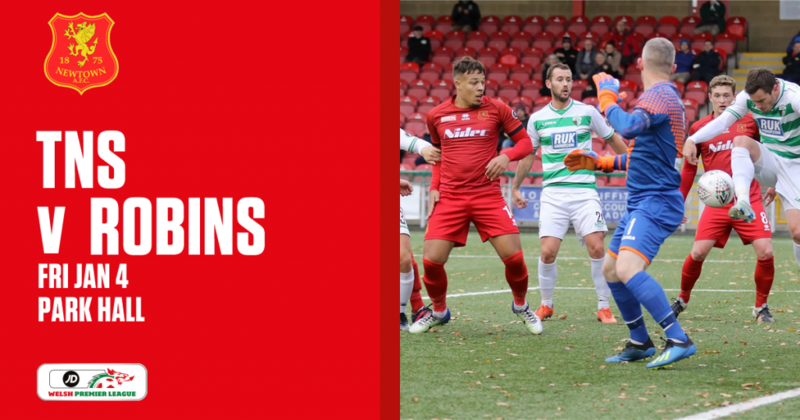 Ahead of kick-off a win was what was required for the Robins to cement their place at the top half of the league for the remainder of the season. The goals from Neil Mitchell and Nick Rushton made sure the club’s place was secured with two games to spare before the league splits into two in January. 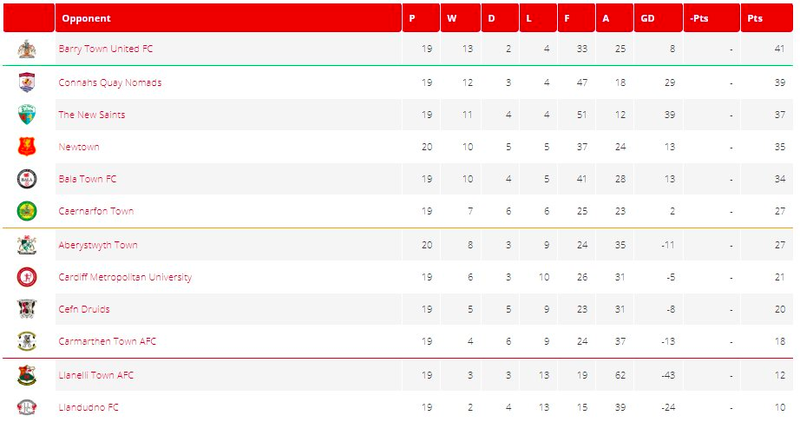 Newtown’s win puts them up to 4th place in the Welsh Premier League table and are now two points behind division champions, The New Saints, and just six points off the top spot where Barry Town United currently sit. Our 10th victory of the league season also means that the reds are still unbeaten at Latham Park in the current campaign after 10 games. For the third match in a row, Newtown manager Chris Hughes named an unchanged starting line-up from the team that won at Park Avenue, 0-2, on Boxing Day. Jay Denny remained the club captain while Craig Williams began the match from within the dugout. Before the match had even reached being 1 minute old the Robins took the lead from the get go when Callum Roberts crossed in the perfect delivery for Neil Mitchell to head the ball home. Newtown could not have asked for a better start. The early goal may have seemed a catch 22 for Newtown when the match went on, the first half didn’t see Chris Hughes’ men create many chances despite the scoreline. Aberystwyth Town began the day five points behind Newtown knowing full well anything less than a win was no exception. Town’s Geoff Kellaway began the hunt for an equaliser when picking up a flick in the Newtown box from captain Declan Walker which would have found the net if it wasn’t for a deflected save from Dave Jones. Kellaway was causing trouble yet again just minutes later when he headed his shot just over the bar. 16 minutes in and the visitors were starting to get a lot more grip in the game than Newtown as Porya Ahmadi took on a ambitious shot from 30 yards out but the ball was flying way over the target. It would take until the 36th minute for Newtown to create an opportunity to double the lead when Steve Leslie’s free kick had to be punched away from Aberystwyth’s goalkeeper, Terry McCormick. The first half in opportunities was the Seasiders but were not clinical enough to be back level come the half time break. The green and white army continued their attacking from the first 45 minutes as Jones had to make a double handed save from the powerful header of Paolo Mendes. Four minutes later and Jones made another impressive save by denying Wes Baynes’ low volleyed effort from close range. The visitors were wondering what they had to do to get the equaliser when Ahmadi’s effort rattled woodwork after taking a shot from the edge of the area. The match clock had reached the hour mark and despite being on the back foot for a period of time, the Robins made it 2-0 when Nick Rushton slammed the ball into the bottom corner of the net – Sam Phillips with the assist. It could have been 3-0 five minutes later when Luke Boundford found himself onside and one on one with the goalkeeper but McCormick made a brave save to give hope for Aberystwyth. 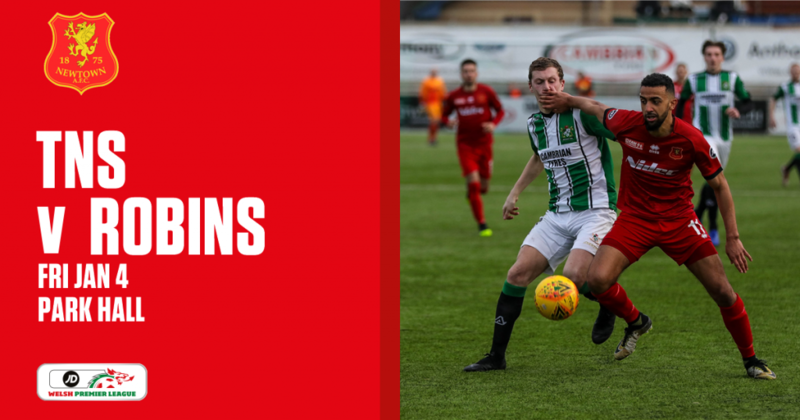 With seven minutes left on the clock, Aberystwyth had their biggest chance of the game but Craig Williams’ clearance on the goal line kept it at 2-0 leaving Ryan Wollacott frustrated not to score. The match was given five minutes of added time which saw the visitors finally find the net on the 90 from Ahmadi who chipped the ball over Jones to deny the goal stopper a second clean sheet in a row. Ahmadi’s goal proved to be just a consolation as Newtown showed they were clinical enough to achieve the maximum points. Newtown AFC: 1. D. Jones (GK); 3. C. Roberts, 5. K. Mills-Evans (C), 6. J. Denny, 7. N. Mitchell, 8. N. Rushton, 9. L. Boundford (14. E. Jones 88′), 10. S. Leslie, 11. J. Kenton, 17. S. Phillips (19. C. Williams 61′), 23. A. Fletcher. Substitutes: 13. J. Perry, 14. E. Jones, 16. G. Cadwallader, 19. T. Craig Williams, 25. W. Evans. Aberystwyth Town: 1. T. McCormick; 2. W. Baynes, 3. S. Edwards, 4. A. Goodall, 5. R. Wollacott, 7. G. Kellaway (27. J. Phillips 80′), 8. P. Mendes, 9. P. Ahmadi, 10. D. Walker (C), 14. R. Edwards (24. A. Ruane 71′), 17. M. Jones. Substitutes: 6. J. Rimmer, 15. L. Jenkins, 18. N. Blake, 20. H. Rowe, 24. A. Ruane, 27. J. Phillips.